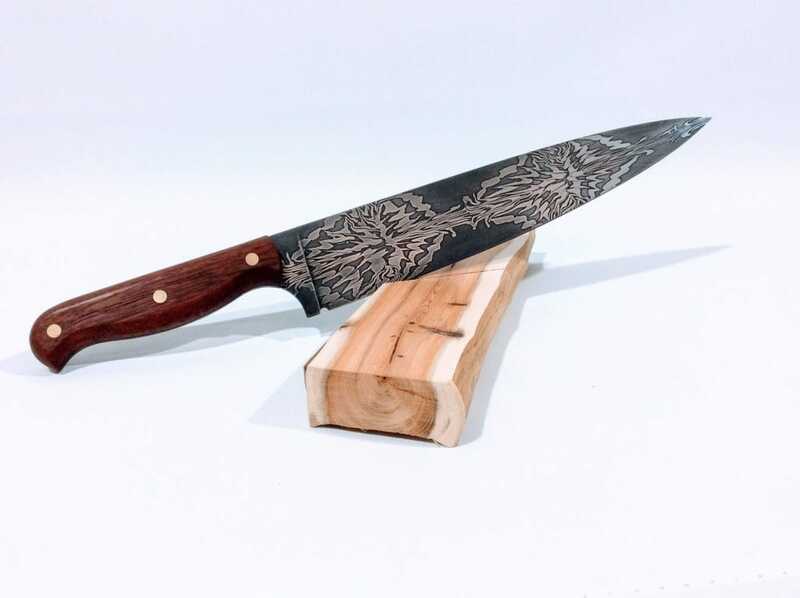 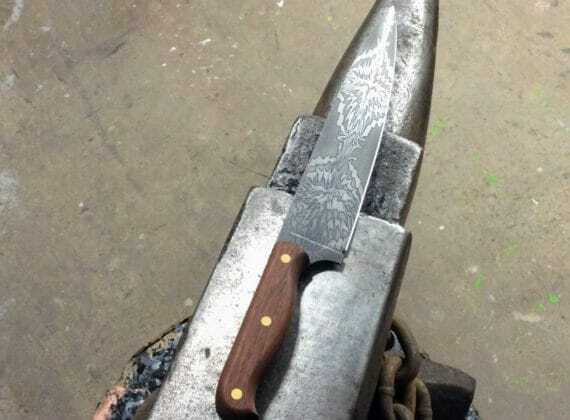 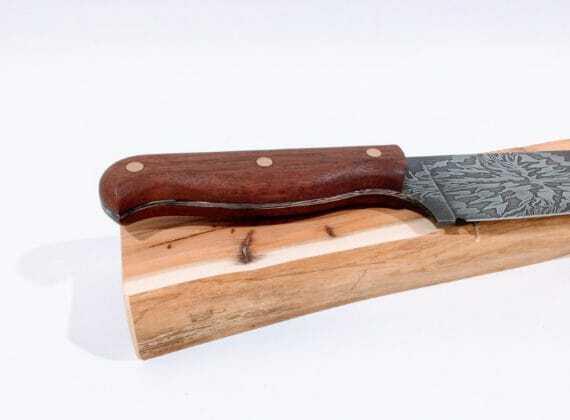 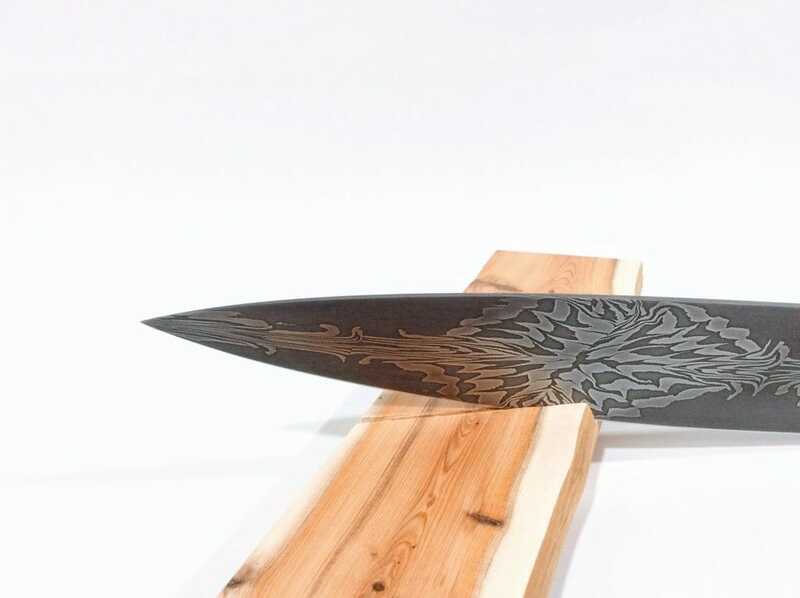 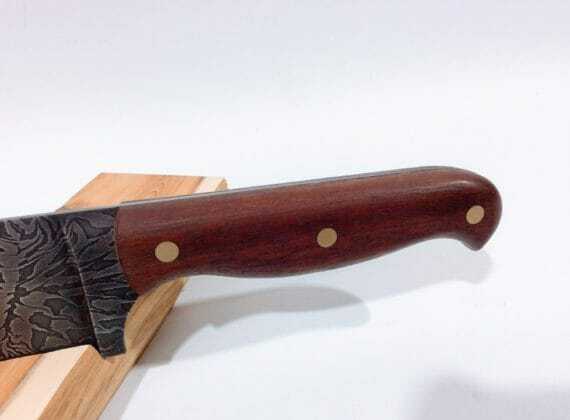 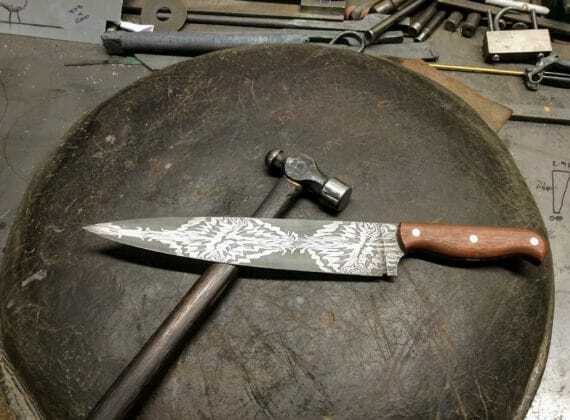 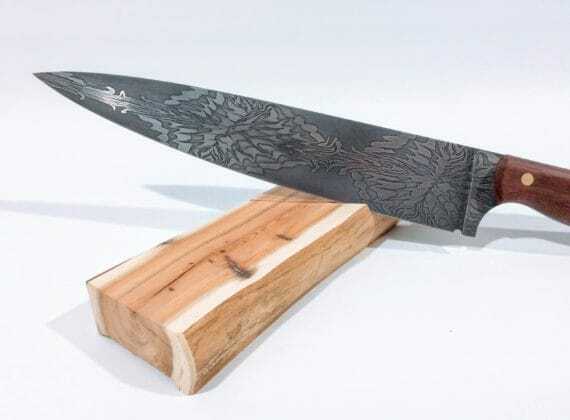 'Starburst' pattern Damascus steel chef's knife. 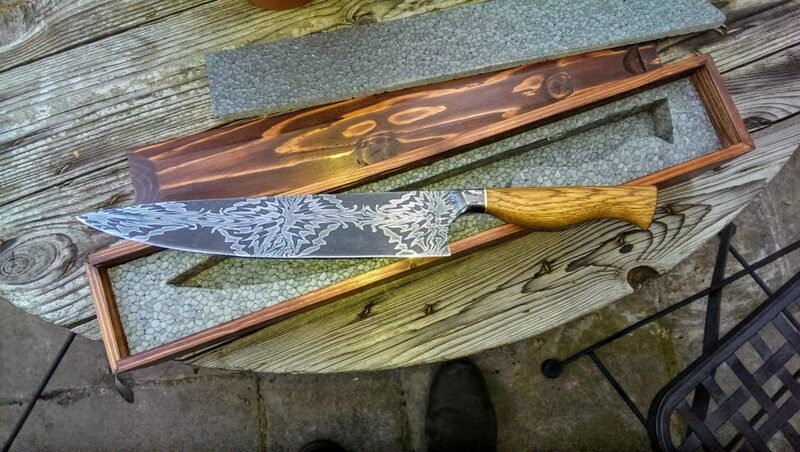 Full tang with padouk scales (from an old mallet head) and brass pins. 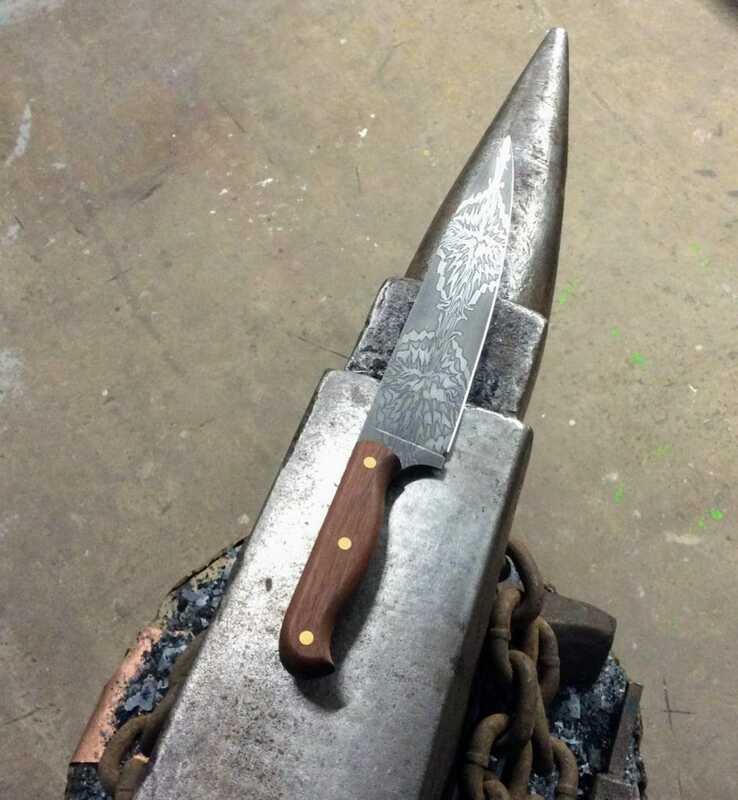 Balance point 10mm in front of handle.